This RUN is signed, numbered and comes with a Certificate of Authenticity from Malt and 1xRUN. 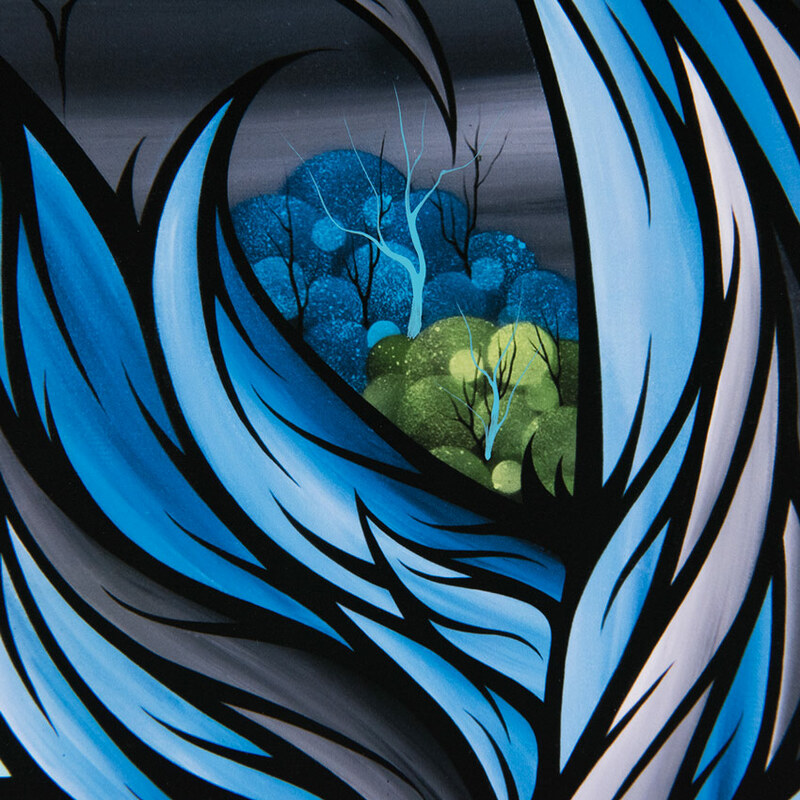 Malt is a self taught artist, living and working in Metro Detroit. 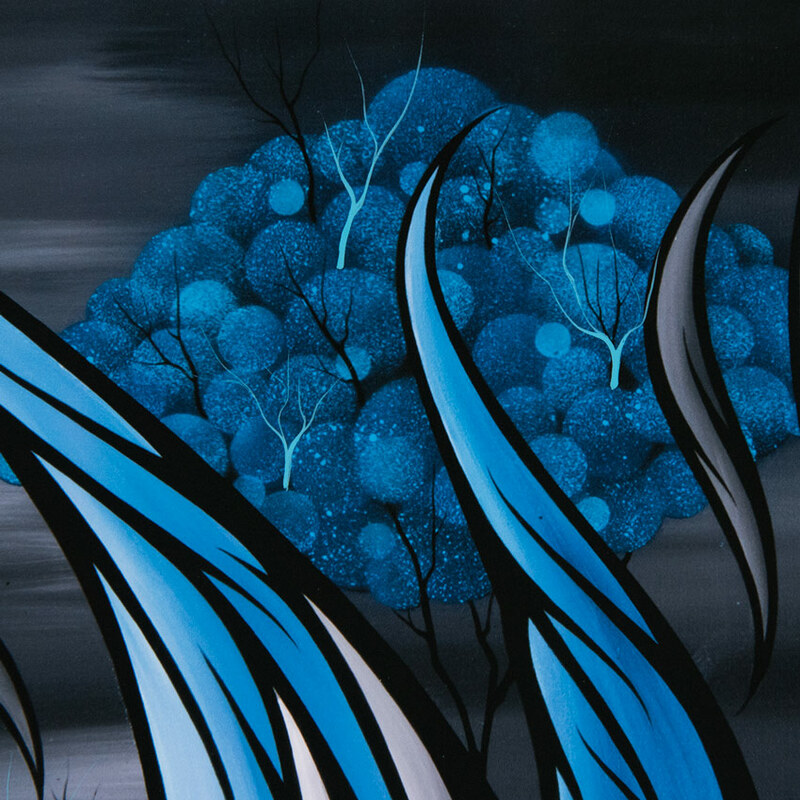 Blending graffiti and aerosol techniques with his signature acrylic style, the latest work from Malt takes an abstract spin on traditional landscapes and the characters that inhabit the psychedelic backdrops. 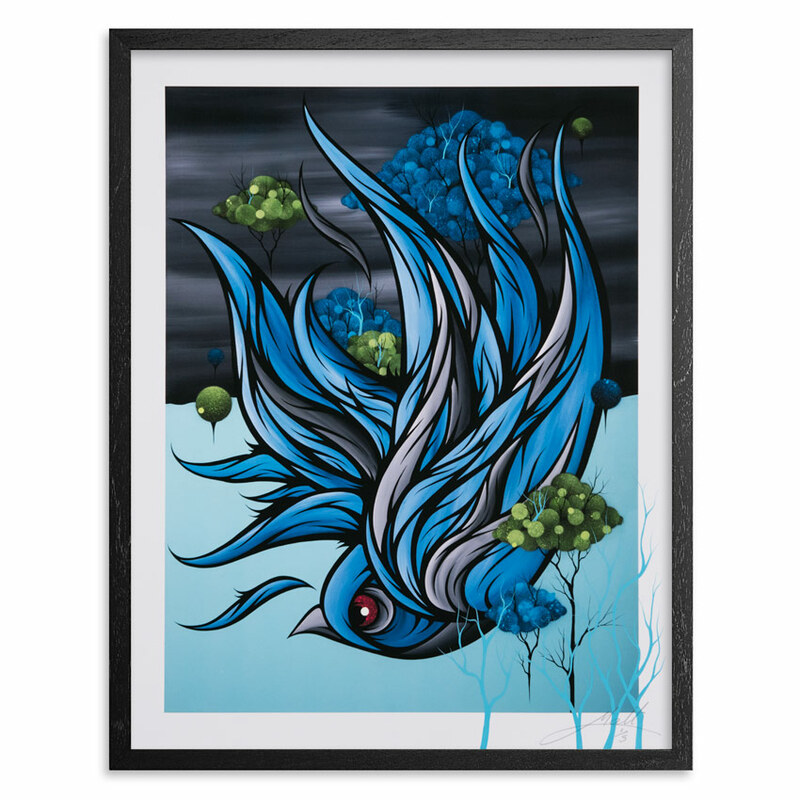 The juxtaposition of forest birds, trees, life/death, growth/decay, strength/weakness is what keeps things fresh and habitually interesting in Malt's work. 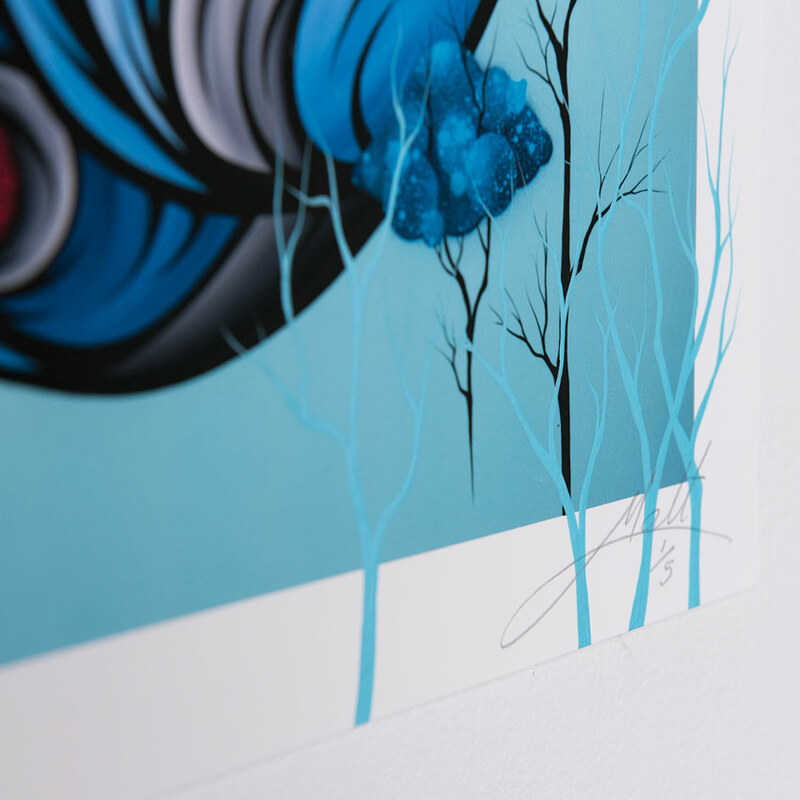 With his recent studio work Malt strives to bridge the gap from his engaging public murals to concise studio explorations, sometimes breaking his signature owls down to their most abstract. "With each process I always work from a basic concept or idea but I truly enjoy the path of the unknown, working without restrictions. I start with the idea and or a basic sketch, then I lay down a background. From there I go on the venture the brush or the can of spray takes me." - Malt.